We had some friends over and grilled earlier this month. I don’t claim to be a master, but I can poke a stick through a vegetable and piece of meat with the best of them. Adam had the responsibility of making sure none of the artwork perished upon the flame. 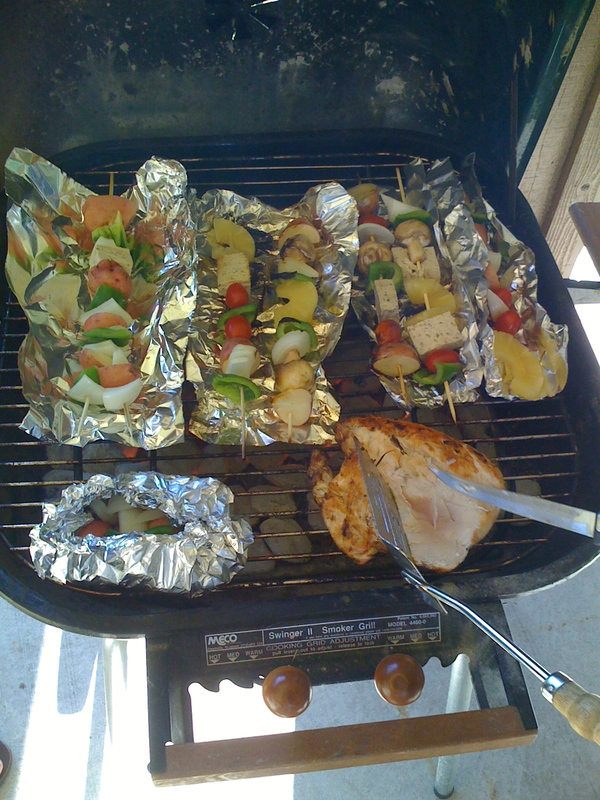 This entry was posted in Experiences, Recipies by admin. Bookmark the permalink.